The final shots of Virginia Tech’s season were taken by the team’s three seniors: Ahmed Hill, Ty Outlaw and Justin Robinson. Trailing Duke 75-71 with 29 seconds left in the Sweet 16 on Friday night, Robinson hit two free throws to cut the Hokies’ deficit in half. After Duke missed a free throw, Virginia Tech got the ball back. Hill misfired on a three, but the Hokies got an offensive rebound. Outlaw couldn’t connect from deep coming out of a timeout and Hill’s putback came up short as the buzzer sounded. In the locker room after the loss, coach Buzz Williams led the team in a prayer for its seniors. “God, You say in the Bible that when we don’t know what to say, that You understand our heart,” Williams said at the beginning of the prayer. 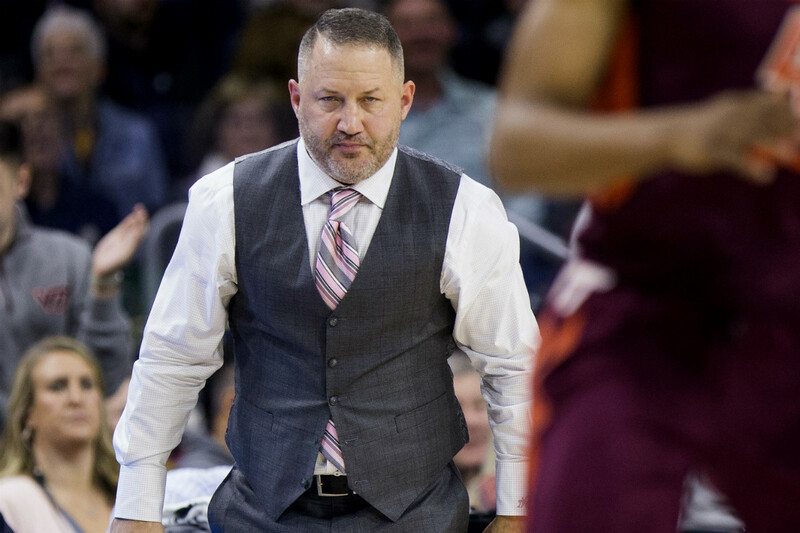 It marked the end of the finest men’s basketball season in Virginia Tech history. The squad won a school-record 26 games, and its two wins in the NCAA Tournament prior to getting eliminated matched the program’s previous best. Before Williams took over in 2014, the Hokies had not been to the NCAA Tournament since 2006-07. But under his leadership, they’ve participated in March Madness each of the past three seasons, the longest streak in school history. And Williams believes God is in control. Before Virginia Tech faced Duke on Friday, with the game in Washington D.C., Williams brought in Mark Batterson, the lead pastor at National Community Church in D.C., to speak to the players. Many thanks to @MarkBatterson for taking time to speak to @HokiesMBB tonight!